Finland holiday cottage. 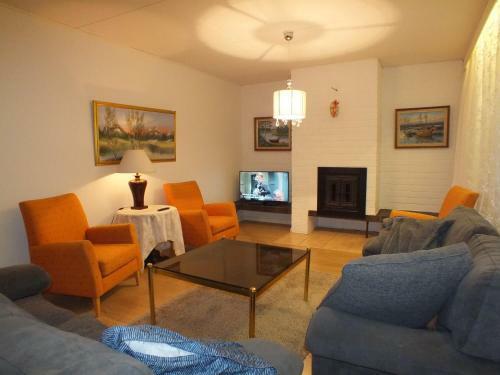 Featuring 3 bedrooms, a private sauna and a fireplace, the self-catering Holiday Home Tuohitie is 4 km from Rovaniemi Airport. WiFi and parking are free. The red-brick Tuohitie Holiday Home has a TV, seating area and modern kitchen with a dishwasher and microwave. Featuring a shower, the bathroom also includes a hairdryer. Santa Claus Village and Arktikum Science Centre are within 4 km of the property.